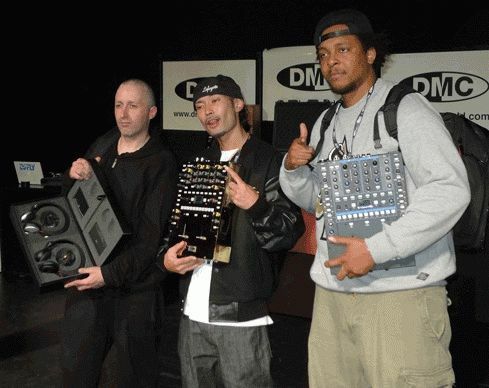 DJzone DJ Magazine :: What does it mean to be a DMC Champion? What does it mean to be a DMC Champion? The World DMC Championships started in 1986 and since it's inception it has been recognized as the battle of all battles for DJ's. Ask any of the former champions and they will tell you that it is a big highlight in their career. Being the battle of all battles, not just anyone can get on the decks. It takes years of dedication, originality and flawless delivery to even be considered. On September 28th & 29th in London over 100 handpicked DJ's from over 30 countries converged to try their hand at being the 2012 World DMC Champion. Out of the 12,000+ DJ's who entered, it came down to just a few spectacular minutes behind the decks for the champions to be crowned. Rane would like to congratulate all of the participants in this years World Finals. We would like to encourage all of those who didn't make it and even those who didn't enter to keep at the craft and hopefully we'll see you again next year. Each finalist had to win a regional battle and then the Finals for their respective countries to earn a spot in the World Finals. Using the right equipment is only part of the equation but we are pleased to report that 98% of the DJ's competing in the World DMC Finals were using a Rane mixer. As we look forward to next years competition Rane would like to give special congratulations to this years winners. It was a hard fought battle and a true demonstration of why the World DMC Championship is the battle of all battles.